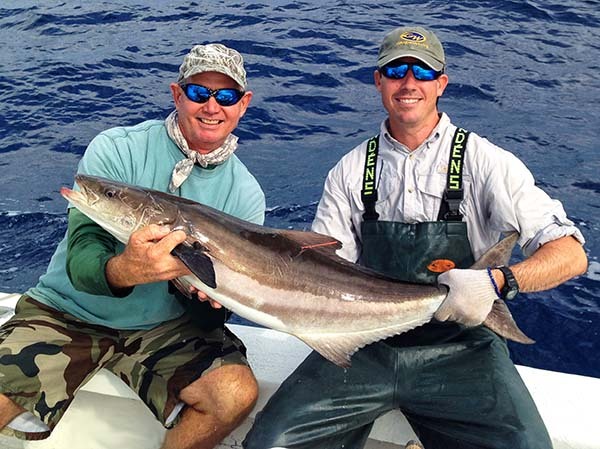 Total Fisherman Guide Service takes pride in fishing a huge area around Key West. Our 36' Yellowfin is a fast and comfortable ride allowing us to quickly get to the best Key West fishing locations. We don't spend all day getting there, the advantage being more time fishing and more locations fished during a Key West fishing trip. 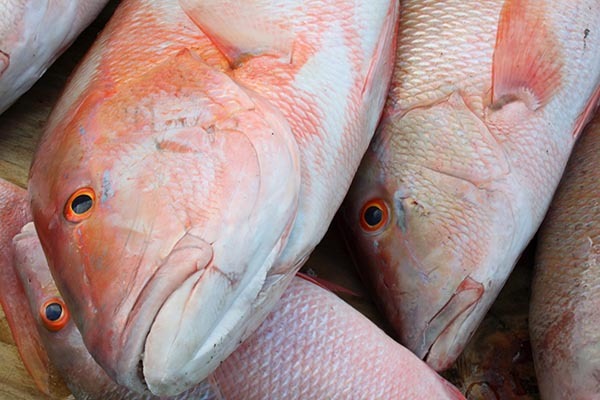 When you hear Key West fishing guides and local fishermen say they were fishing “Out Front”, they’re referring to the south side of Key West, the Atlantic side. The opposite can be heard as well, “Out Back” or The Gulf side, is fishing on the north side of the island. Key West’ inshore waters stay shallow until you get past the reef approximately five miles offshore. At five miles, the depth quickly drops from approximately 30-60 feet at the reef’s edge, into waters hundreds of feet deep and beyond. Sailfish, Wahoo, Mahi Mahi, Blackfin Tuna, Barracuda, Kingfish and several other species can be found here. Sailfish, especially in the spring time can be found in the shallows just on top of the reef, on into 300-400 feet of water. Their location often depending on water color and abundance of bait schools such as Ballyhoo. Mahi (also known as Dolphin Fish) can be found just outside the reef or farther out, often dependent on weed lines and the location of the Gulf Stream current. “Wood’s Wall” made famous by Key West Marlin fishing pioneer Norman Wood, is where the continental shelf descends abruptly into extreme depths of thousands of feet. Wood’s Wall is a great location to target Mahi in the spring and summer months and an occasional Blue or White Marlin can be found here as well. 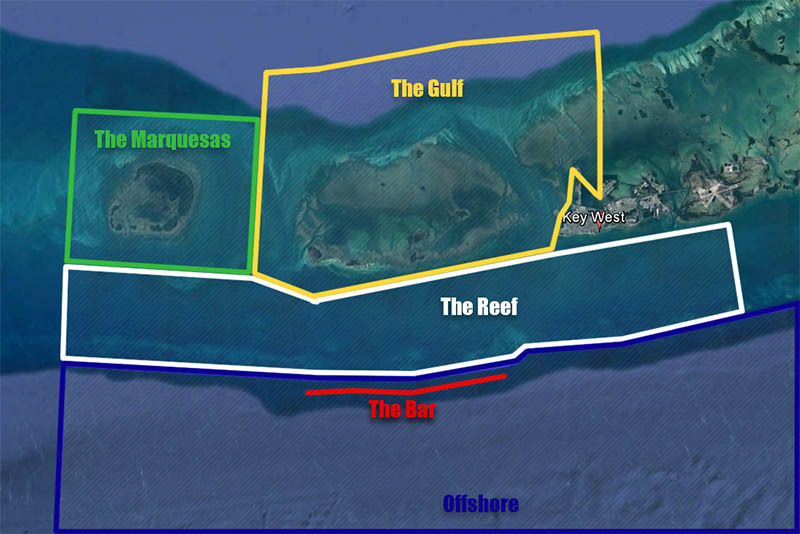 “The Bar”, “End of The Bar”, the “Sunken Bar”, the “Sunken Reef” and “The Intermediate Reef” are all names describing the great charter fishing location that starts about eight miles SW of Key West. The Bar, is a submerged reef that runs east and west from Sand Key to out in front of Boca Grande Key. This reef was created during the last ice age when the coastal waters were shallower and the top of the reef was much closer to the surface. 10 miles long and up to ¼ mile wide, this bottom structure has a deep water trough between itself and the main barrier reef which separates the inshore fishing from the offshore fishing areas. The water around the bar drops as deep as 110+ feet and quickly climbs into water as shallow as 30 feet on top. Having deep water on both its north and south sides, as well as sloping off into deep water at its beginning in the east and at “The End of The Bar” in the west, means it is a prime location to target a variety of species such as Snappers, Grouper, Kingfish, Wahoo, Sailfish, and Blackfin Tuna. This prominent structure with steep sides attracts bait and the multitude of fish that feed on them. 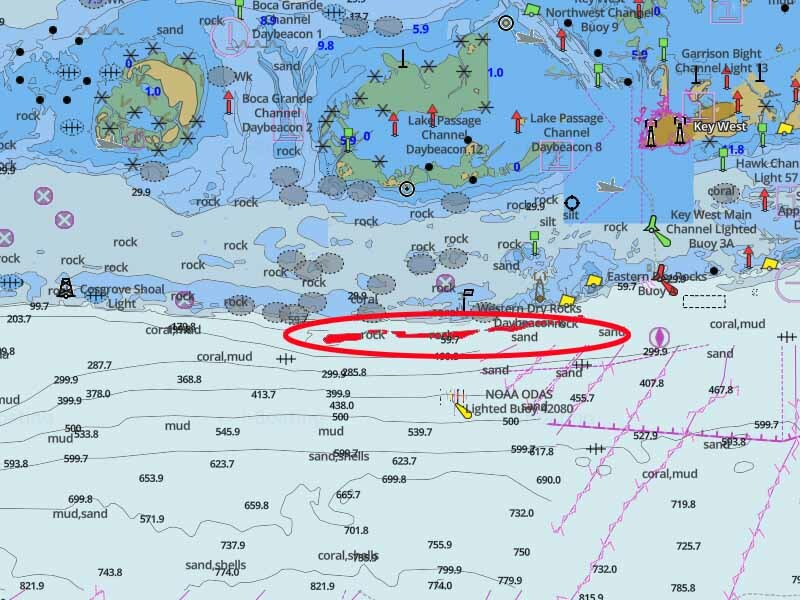 The End of The Bar is a prime location that we frequent because it’s just far enough away from Key West to not see the heavier fishing pressure that the near shore waters experience. This downward slope from 30-100+ feet deep is great holding water for pelagic fish as well as larger Snappers and Grouper. Just west of The Bar are several wrecks and underwater humps including the sunken submarine aka The Sub and other prime locations such as Coalbin Rock, Cosgrove Shoals, Rebecca Shoals and Tail End Buoy. So we see the End of The Bar as the beginning of all of the great charter fishing that Key West has to offer. This is best enjoyed on a full day Key West fishing trip. “Outback” or “The Gulf” typically refers to fishing the small keys to the west of Key West and the waters north of there. 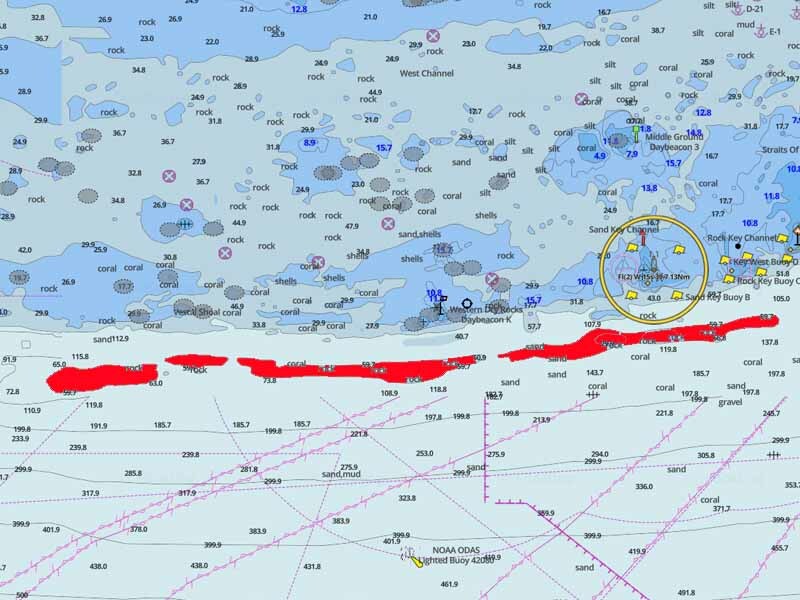 These areas are often protected from the wind usually having calmer conditions than fishing in the deeper offshore waters. Because of the Gulf’s large amount of water and variations in depth and structure your guided fishing trip has a variety of options. Anchoring up in the many channels in and around the small islands and chumming can be super productive. Chumming up schools of Cero and Spanish Mackerel, Barracuda, Mangrove Snappers, Yellow Jacks, Crevalle Jacks etc. and casting to them or drifting back live shrimp or live baits can be super productive. Shark fishing, Key West shark fishing can be amazing! Finding adequate current flow and anchoring the boat near a drop off from shallow to deeper water means you’re in shark city. We will put out chum to attract fish the sharks like to eat. Additionally we will hang chum off the side of the boat, carcasses such as Mahi, Mackerel, or tuna that were filleted the day before. Putting out a live bait or two as well as some strip baits on the bottom or fluttering in the current, means it won’t be long until the sharks come calling! Sharks are a valuable part of the ecosystem so all of our shark fishing is catch and release. We catch all kinds of other fish that show up to the boat as well. Fishing in the Gulf north of the islands, where the water starts to deepen up, are locations that we like to visit such as wrecks and rubble piles. 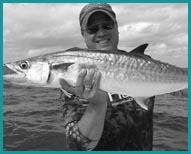 These locations often hold Cobia, large Grouper, Kingfish, Cero and Spanish Mackerel, Amberjack, Almaco Jacks, Crevalle Jacks and a variety of other hard fighting fish. The reef just south of Key West is called the Florida Keys Reef Tract and it’s the third largest barrier reef in the world. Averaging about 4 miles wide and running down the keys to its end near the Marquesas; this amazing area creates habitat for a variety of species and is a great area to fish! The Reef is a short run from Key West and is ideal for half day trips. Even on many full day trips, we still start the day fishing on the reef catching Yellowtail Snappers, Grouper, Amberjack and more. 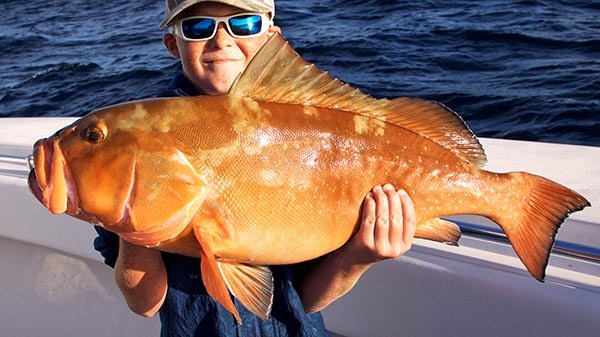 Typically the waters on the reef are much calmer than offshore making it a great trip for anglers that want nonstop action without spending a full day offshore. Anchoring up on the reef and putting out blocks of chum allows us to bring the fish right up to the back of the boat. We free drift small baits back into the chum slick to catch the abundance of Yellowtail. We often put live baits farther to catch the larger species that show up such as Kingfish, Sharks, Barracuda, occasional Sailfish and Tunas. Additionally we put baits on the bottom to catch Grouper, Mutton Snapper, Cobia, Sharks, Grunts, Porgies, etc. The great thing about fishing the reef is the huge variety of species that are available. 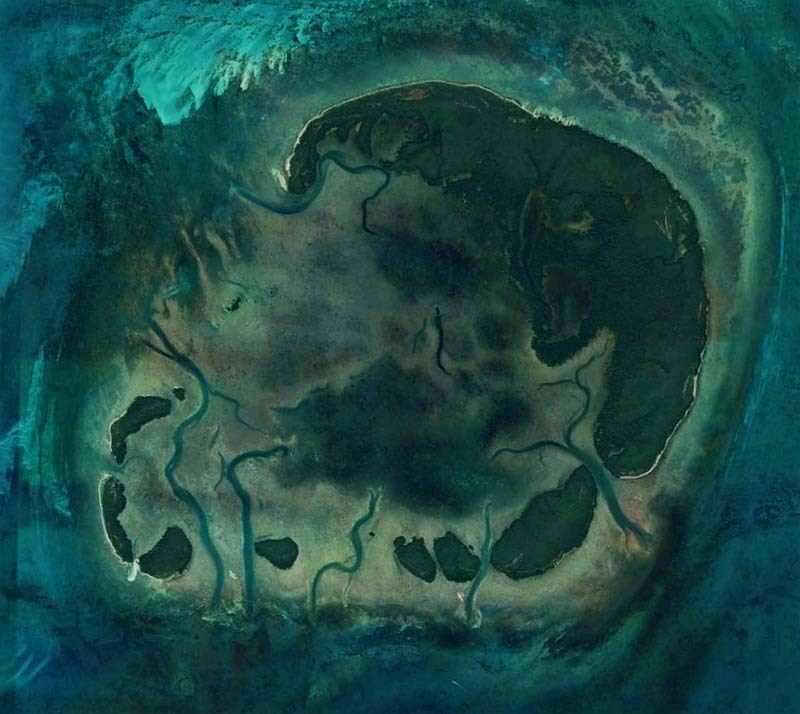 “The Marquesas”, or “Marquesas Keys” are part of the Key West National Wildlife area. The keys themselves form a 3.5 mile wide circle of land with a lagoon in the center, creating an atoll, the only atoll in North America. The relatively shallow Marquesas waters (15-40 feet) typically are typically calm and not as rough as offshore waters if the wind is blowing. This amazing area is about 26 miles west of Key West and is the last bit of land in the Florida Keys chain until you reach the Dry Tortugas another 45 miles away. The gin clear waters of the Marquesas are amazing, they will get in your soul and you won’t be able to shake the images long after your trip is through. This area is what keeps so many anglers coming back to Key West year after year. The beauty of the Marquesas is that they are far enough away to have minimal pressure, yet close enough that we can easily access them on a full day trip. The ride down from Key West takes about 40 minutes. We fish the areas west of here as well and often some of them have remained untouched since the last time we fished them. This area has allot of very productive water. Shallow and deep wrecks abound, rock piles provide great fishing structure and the reef fishing is very good. Grouper, Snappers, Cobia, Sharks, Barracuda, Mackerel, Permit, Kingfish and Bonita Tuna. 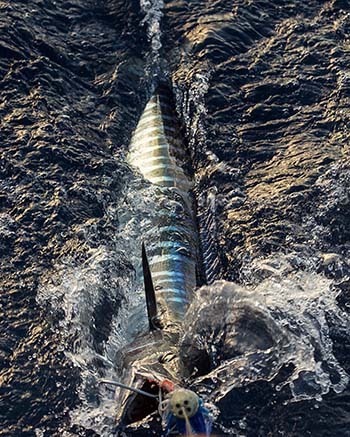 A Key West fishing charter to the Marquesas is well worth the trip!